A San Diego city council committee approved moving a plan to let private companies run Miramar Landfill to the full city council for consideration. The hearing, however, was not without some major trash talk. Councilmembers Sherri Lightner and Marti Emerald expressed concern for the money required for future environmental reports and over environmental issues that may arise if the City forks over responsibility for the landfill. Emerald especially took offense to comments made by mayoral spokesperson Alex Roth in an interview with the Union Tribune. In the interview Roth referred to the environmental concerns from the public were a "red herring." "Did Mr. Roth really say that, or was he misquoted by the newspaper?" Asked council member Marti Emerald. 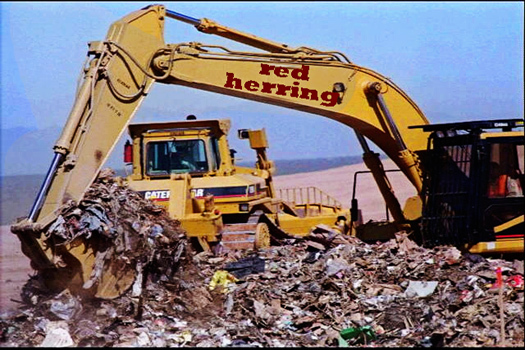 "Anybody who thinks that environmental concerns over this landfill represents a red herring is smoking crack." Emerald went on to say that the City should not waste the money on upcoming environmental documents but instead use it for the current landfill operations. Despite the concerns from Lightner and Emerald, councilmembers Tony Young, Todd Gloria, and Kevin Faulconer, voted in favor of moving the item on to the full council. InOmbra July 13, 2011 @ 2:34 p.m.
Good article Dorian! And great photo. Ahhh, Alex Roth, former trash-talker writer at the UT (and, of course, simultaneously a Sanders spokesman), was accused by many a U-T reader of smoking crack, so clueless and propagandistic were his reports. Glad Emerald is keeping up the tradition, though I doubt Emerald has much credibility on environmental issues. SurfPuppy619 July 13, 2011 @ 9:36 p.m.
====================== WOW! You go MARTI! If someone ever said that to me, even in jest, it would be lights out! But Roth is getting some well deserved karma! Dorian Hargrove July 14, 2011 @ 3:53 p.m.
SurfPuppy619 July 14, 2011 @ 5:29 p.m.
Because those are basically "fighting words",which are words that would cause an immediate breach of the peace.